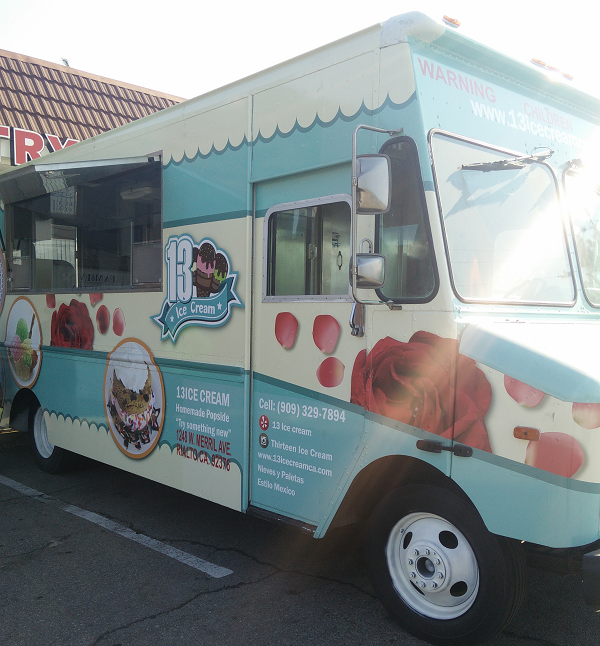 Just a few short weeks after the launch of the Rialto-based Deux Company food truck, San Bernardino County is getting another new food truck. However, this one we knew about in advance. That’s because it’s from our friends at 13 Ice Cream in Fontana. 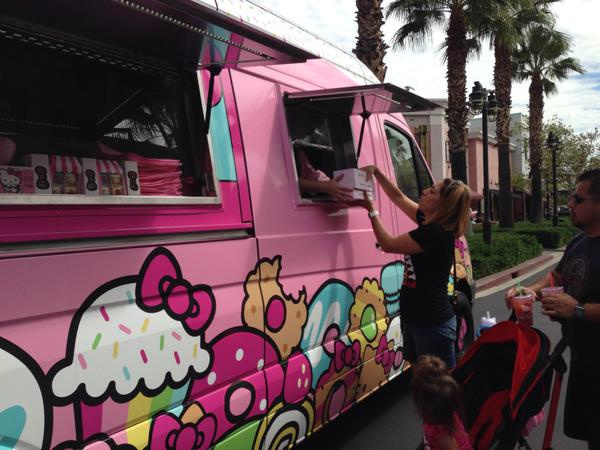 Perhaps you (like us) missed the Hello Kitty Cafe truck’s previous visit to Victoria Gardens back in September of last year, or perhaps you did and are still craving those doughnuts you got last time. Either way, the truck is making a return trip to the center from 10 a.m. to 8 p.m. on Saturday (July 30). Miracle Treat Day is here! Eat a Blizzard, help sick kids. Jack in the Box has gone hipster — and virtual — for its new burger. Claremont speakeasy The Whisper House is celebrating its first anniversary today (July 15) with food and drink specials and a Bottle Logic Brewing takeover. 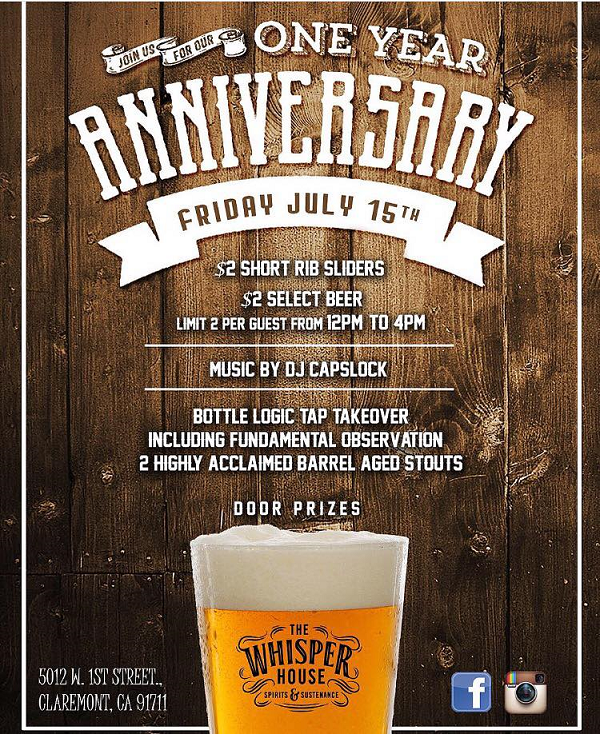 The eatery will open at noon and will offer $2 short rib sliders and $2 beer specials until 4 p.m. Happy 55th anniversary to Wienerschnitzel! Celebrating “Der fun since ’61,” the world’s largest hot dog chain is celebrating in typical Wienerschnitzel style…by offering hot dogs at a bargain price. 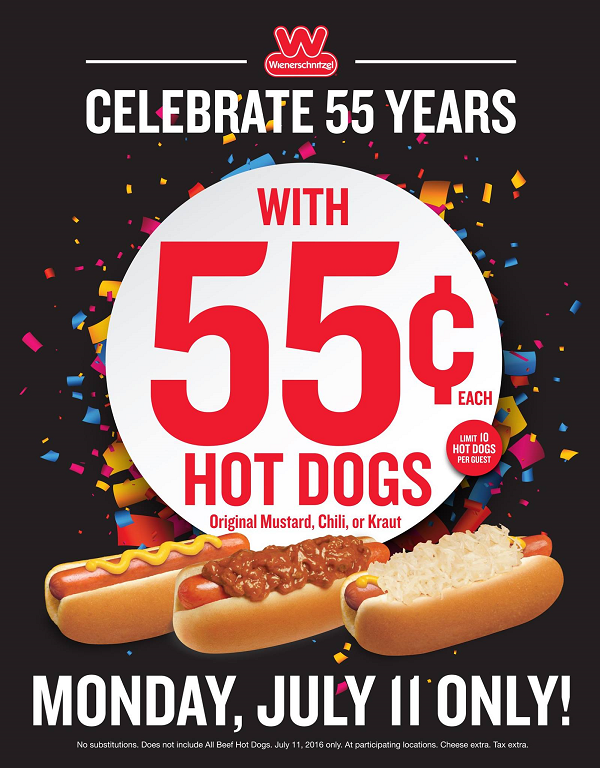 Today (July 11), the chain is selling hot dogs — original, chili or kraut dogs — for just 55¢. Guests can buy up to 10 hot dogs at that price. Wienerschnitzel locations can be found throughout the Inland Empire. Happee Slurpee Fiftee…time to partee! Look at the calendar…it’s July 11, AKA 7/11, AKA Slurpee Day! It’s the day when 7-Eleven traditionally offers free Slurpees, but today is special, because it’s the 50th anniversary of the frozen treat. So, head to your local 7-Eleven between 11 a.m. and 7 p.m. and get your free small Slurpee (the convenience store chain just introduced a birthday cake flavor), and then make sure you download the 7-Eleven app on your smartphone. 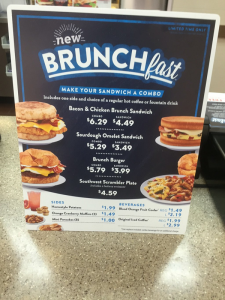 Del Taco recently introduced its new platos at select locations in San Bernardino, Redlands, Colton, Loma Linda and Riverside. The platos come with a choice of either a wet burrito, two fish tacos or two street tacos, plus cilantro lime rice, beans and chips and salsa. Prices range from $6.49 to $7.49. It appears to be a second go-round for Del Taco’s platos. They were also tested about a year ago in the Sacramento area. Colton: 834 W. Valley Blvd. ; 1010 E. Washington St.
Loma Linda: 24898 Redlands Blvd. Redlands: 1624 W. Redlands Blvd. ; 602 E. Redlands Blvd. Riverside: 3487 Arlington Ave.; 4407 Brockton Ave; 6333 Riverside Ave.; 1255 University Ave.; 3199 Van Buren Blvd. San Bernardino: 272 E. 40th St.; 2665 S. Waterman Ave.
Is it too late for breakfast, but too early for brunch? Or is it brunch, but more breakfasty? Only Jack in the Box can tell. Like Taco Bell’s Fourthmeal, Jack in the Box’s Brunchfast is a completely artificial construct designed for one thing: Sell more food.